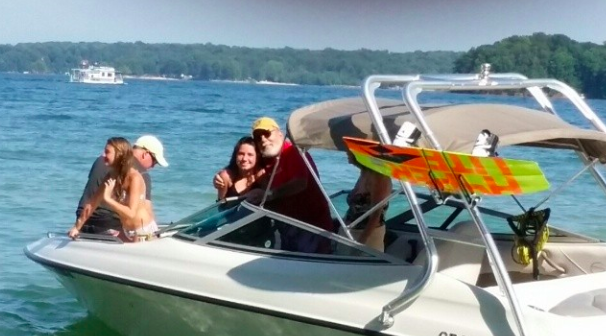 We've been working at StoreYourBoard to expand our selection of wakeboard boat towers in addition to the wakeboard tower racks we've been known for. We now have a great selection of boat towers, including towers from Big Air, Skylon, Krypt and FlyHigh. 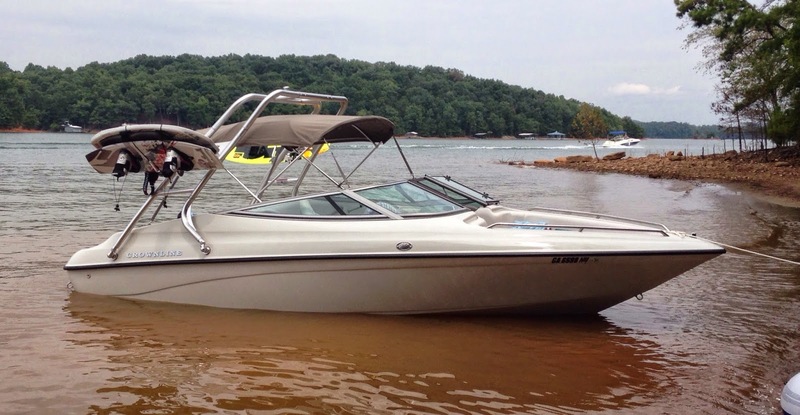 One customer favorite boat tower is the Big Air Cuda Wakeboard Tower. The Big Air Cuda wakeboard tower is Big Air's premier, radical forward swept design wakeboard tower. 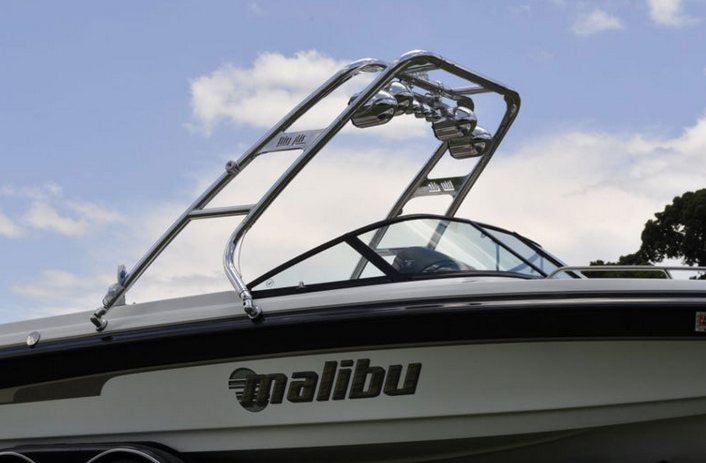 This wakeboard tower is on par with any OEM tower you would get from the major companies like Malibu, Moomba, and Centurion but without the inflated price! This rack has all the goodies such as a high polish finish, universal mounts, ultra-rigid frame, and swiveling rope head. Between the 2.25" diameter aluminum tubing, built in corner trusses, and machine welded joints, this tower is designed to take a beating! Whether you are pulling a hard charging wakeboarder loading up lots of line tension, slinging around tubers, or riding through heavy seas, this rack will remain rattle-free and stable. The high quality 6061 T6 aluminum ensures the Cuda tower rack is lightweight yet incredibly sturdy. One of the coolest features about the Big Air Cuda tower is its ease of integration with Big Air racks. The Cuda tower has built in mounts that accept Big Air's series of single bolt racks. This is awesome because it means setting up a complete tower and rack system is super convenient. No need to stress over clamp sizing and proper alignment, there is literally only one bolt standing in the way between you and a working rack system! We carry all of Big Air's one-bolt racks - we recommend checking out the Big Air Wakeboard Rack | Aluminum.